FantasyFootballNerd.com searches and aggregates fantasy football best ball rankings from around the web into one easy to use display. Use the fantasy football best ball rankings shown below to help you win your Best Ball leagues! The rankings are weighted based on a number of factors including past accuracy. 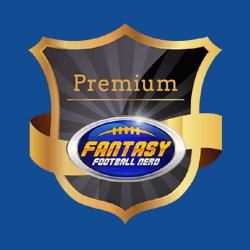 Unlock complete rankings with a Premium Membership! What are Best Ball Leagues? 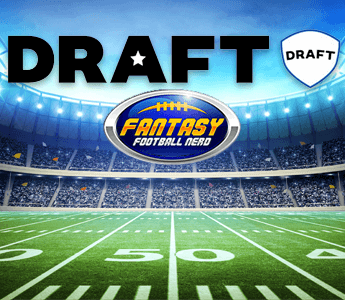 With Best Ball you only focus on the best part of season long fantasy football: the draft! Draft your team and you're done. 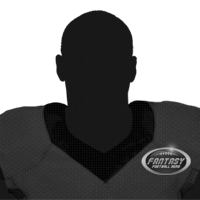 Each week, the system will automatically determine your starting lineup by using your top scoring players. The points you earn each week will count toward your season total. The team with the most points at the end of the season wins. You don't have to worry about lineups, waivers, or trades. Just draft! The key to winning is to try and fit some home-run type guys onto your roster. When they go off, so will your team! Use our rankings to help you nail your best ball draft! Use these rankings to help you nail your Best Ball draft leagues on Draft!